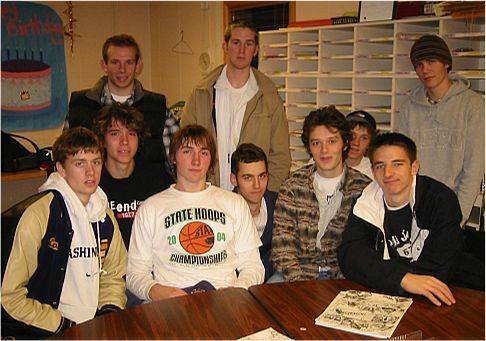 The Varsity team in the faculty room right after modifying their grades and eating all the food in the fridge. 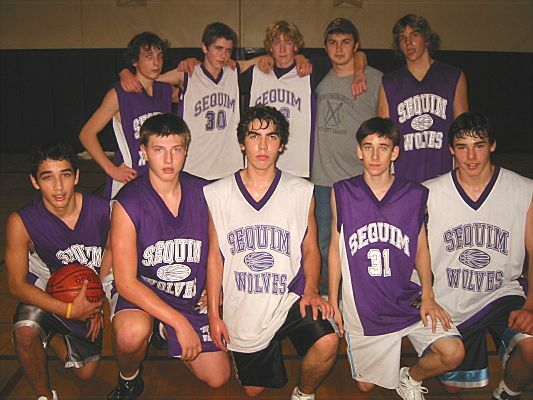 The 2004/05 Wolves are anchored by a veteran backcourt of seniors Evan Still and Ryan Rutherford. Forwards Sean Omera and Wes Magwire also return from last year’s varsity and play bigger than they are. Wing players Ben Webb, Chad Wagner and Per Berg are each versatile players who can score in different ways and defend well on the perimeter. Our hard-working post players include seniors Jake Shearer, Josh Brocklesby and Owen McClain. These guys have each improved since last year. Despite a rough start, the coaches are encouraged by our team’s effort and chemistry early in the season. We are excited about our potential. Our coaching staff has some changes this season. Art Green has moved over from varsity assistant to take over as the J.V. coach, and Brian Berg is helping Coach Rap on the C-team. Coach Hill again brings wisdom as a varsity assistant. It is my unbiased opinion that these are great coaches. I appreciate all they do for the players. 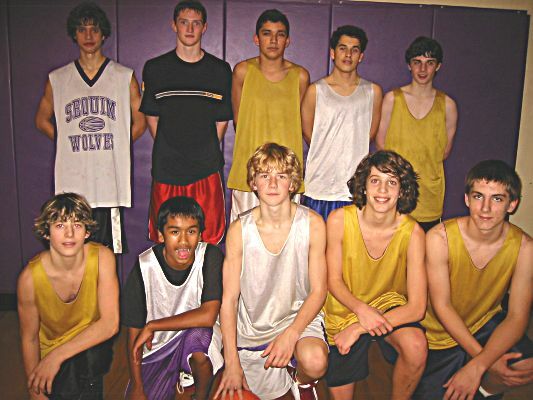 Coach Millet who served kids in this program for ten years is now the head coach at the high school in Sugar City, Idaho and is off to a 2-0 start. We want to thank our managers who tirelessly do so many of the little details that help make this program. To Brittany Bryant, Lacey Henry and Erica Brandelius we say thanks. We also want to thank our athletic director, Chris Olson who does so much for us behind the scenes and the athletic secretary Diane Bowden who keeps us going in the right direction. Oh, one more thanks to Mrs. Magwire, Mrs. Webb and Mrs. Wagner for feeding us on our latest pre-game meal.